Even essential oils made from commonly ingested herbs can have harmful effects on your body. Such is the case with oregano oil. Oregano oil may have some health benefits but as aromatherapist Patricia Davis notes in her book, “Aromatherapy: An A-Z,” the harm tends to outweigh the benefit. You should not use oregano oil without first consulting a doctor or certified aromatherapist to see if it is appropriate for your condition. If you do use oregano oil, be aware of signs of an overdose. If you develop a rash after using oregano oil topically or through other methods, it is a sign that your body is having an adverse reaction to the amount of oregano oil used. As Drugs.com points out, oregano is known to cause contact dermatitis and sometimes can also produce an anaphylactic reaction. The rash is a warning sign and you should discontinue use and seek medical attention. Vomiting is another sign that you have overdosed on oregano oil. If for any reason after using the oil you experience vomiting, you should seek immediate medical attention. Davis advises never to use essential oils internally; this is especially true with oils that can produce severe reactions, such as oregano oil. 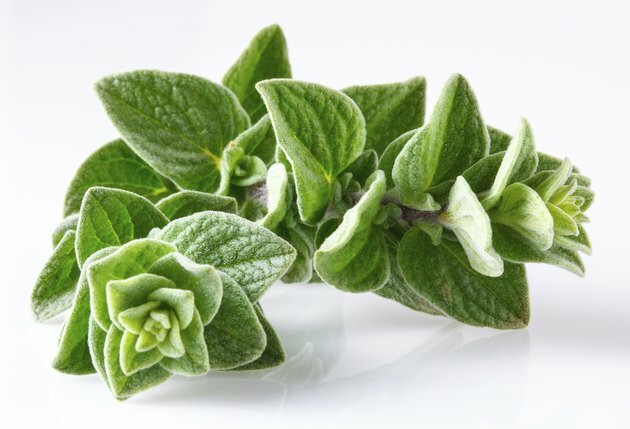 Although the first two overdose symptoms might seem obvious, other, less-noticeable symptoms are warning signs that you may have a toxic amount of oregano oil in your body. One example is an increased warmth or tingling feeling in your mouth. As mentioned you should not be taking oregano internally unless under the care of a doctor. If you experience this symptom, advise your physician right away.